Our staff utilizes a variety of breeds in escorting hunts at the ranch. Most of the traditional pointing breeds are represented including Brittanys, French Brittanys, German Shorthaired Pointers, German Wirehaired Pointers, English Setters, Llewellin Setters, Labrador Retrievers, English Pointers, Boykins and Vizslas. The dogs we use here at the ranch are not necessarily from exotic or expensive lineage, but they become very good due to rapid accumulation of experience with their seasoned kennel mates. Your dogs are welcome at the ranch with your cooperation on some issues that cause many operations to resist allowing guest dogs. Keith and Debra believe that anyone that takes the effort and expense of keeping a dog should be able to take them along on a good hunt. Dogs are ONLY allowed in Cedar Lodge and Hangar Suites with prior approval & with the proper vaccination papers submitted before arrival. The State Lodging licensing requirements to clean a room occupied by a dog lead to extensive hours by our housekeeping staff to meet state standards. A reservation MUST be made to keep a dog in Cedar Lodge or Hangar Suites for a $50 one time cleaning fee per room, plus any damage costs. Dogs must be crated when alone in the room. To protect the ranch dogs and the guides’ dogs, any guest dogs without reservations or vaccination papers will not be permitted to stay at the Ranch. If you have any questions or need clarification, please call Debra at 785-373-4835. Anytime we mix dogs & people we require current vaccinations for rabies, kennel cough and distemper/parvo. We expect that guest dogs would be trained and under control of the handler. Dogs must be on leash while in ranch headquarters yard. Owners should be prepared to work with their dogs on using our kennel’s 2-way dog doors. We occasionally have guests that are hunting pheasant with their quail or field trial dogs for the first time. You will be disappointed with dogs that cannot be kept within 30 yards (shotgun range) as it is not the nature of a pheasant to hold for a point for an extended duration. Wide running dogs will effectually purge the area of pheasant and insure that you will seldom get an opportunity to shoot. 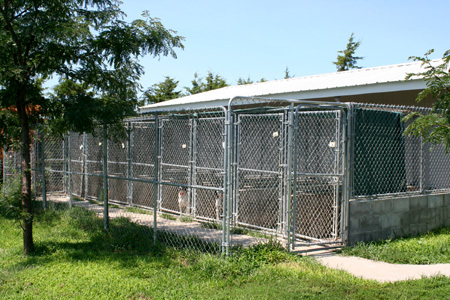 We have a safe and environmentally controlled kennel space for guest dogs. Please notify us of your intentions to bring a dog on the reservation process so we may make the appropriate considerations and to be sure we have space for your dog. Looking for a good hunting dog and canine companion? Our staff occasionally will have a litter of puppies from our stock that we have identified as being exceptional. Genetic predisposition is the key factor in canine potential and there are very few places like Ringneck where we get to develop, observe, and evaluate genetic potential. If you have a breed of interest we will connect you with the guides that work with that particular breed. We offer a unique opportunity for dog owners in the month of September prior to beginning of our hunts. We make our CSA (Controlled Shooting Area) available for owner/dog training under a minimal service situation. We provide accommodations and training birds for use in a manageable habitat to optimally use very productive controlled situations. Our guide staff have also taken in guest dogs for the purpose of intense exposure to hunting situations. We have several very satisfied dog owners that you may consult with about their experience of having a very experienced young dog for the opening of hunting season. The dog owner must realize and be willing to accept that daily hunting at Ringneck Ranch has some risks attached.